Sometime last year the online book seller Amazon listed a forthcoming title called ‘The Field Archaeology of Dartmoor‘ whose author was Phil Newman. On many occasions I have come across his work as a former field archaeologist with the Royal Commission on Historical Monuments and English Heritage. Whenever researching a site it has been refreshing to see Phil Newman’s sensible, cautious comments and ideas with regards to the archaeological evidence. Too often some of Dartmoor’s field researchers leap to spectacular conclusions that seem to bear more relevance to media attention than historical fact but not in the case of Phil Newman. Therefore it was with great excitement that I awaited the publication of this book, ‘waited’ being the operative word. Despite placing it on order with all the main online book sellers, week after week went by without delivery and in the end I gave it up as a lost cause. However, yesterday morning a loud crash announced the daily postal delivery and there laid on the doormat was the long awaited ‘Field Archaeology of Dartmoor‘. It didn’t take too long to get ensconced in its lavishly illustrated pages of photographs, maps and plans. This was one of those books that once I had briefly scanned the various chapter headings and references would be hard to put down. This publication comes from English Heritage in conjunction with the Dartmoor National Park Authority, The Ministry of Defence, and The National Trust. The book’s 264 pages take the reader on a journey from the Mesolithic period to modern times, all in all 11,000 years of man’s intervention on the landscape of Dartmoor. Much of the information has been taken from extensive fieldwork carried out by the English Heritage Archaeological Survey and Investigation team. This has ensured that the book’s contents include a substantial amount of the latest ‘high spec’ survey data and information. There are three main sections; Prehistoric Dartmoor, The medieval and post-medieval landscape and the industrial and military landscapes. Within the Prehistoric section such topics as early antiquaries, the Mesolithic period, the Bronze Age, the Iron Age and the Romano British period are expertly brought to life. The medieval and post-medieval section covers early medieval Dartmoor, castles, farming, the medieval tin industry, warreners and improvers of the post medieval era. Finally, the industrial and military landscape section examines Dartmoor’s granite and moorstone industry, tin, copper and silver lead mining, china clay extraction, miscellaneous industries such as peat, gunpowder mills, ice works and tramways, ending with the military use of the moor over the modern period (of which very little has been previously published). The book is fully referenced and indexed along with an archaeological gazetteer listing sites mentioned in the book with eight figure OS co-ordinates for each of them. As mentioned above, the book is illustrated throughout with excellent colour photographs, maps and plans and I especially like the inclusion of aerial photographs which one does not get to see very often. If there is any criticism of this book there are just two very minor whinges, firstly why include a French and German translation of the opening two page summary when the rest of the content is in English? Secondly, the book is very cumbersome when trying to read it in bed and would have benefited from a hard-back cover to avoid page curling and possible damage. Having said that, I would thoroughly recommend ‘The Field Archaeology of Dartmoor‘ to anyone with an interest in Dartmoor and especially it’s landscape history. 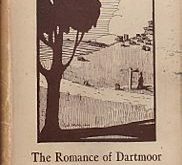 In my opinion this is the most important Dartmoor publication for many years and now sits on my bookshelf along with all five volumes of Jeremy Butler’s Dartmoor Antiquities Atlases, Andrew Flemings book on reaves and the other older classics. Truly a must-have book and well worth the wait – a big thank-you to Phil Newman and English Heritage!